To book Rysa for an event, please contact her. From 1984 to The Handmaid's Tale, science fiction and fantasy novels have imagined humanity's future “ and it's not always efficient hyper drives and intergalactic peace treaties. Led by senior editor Jason Kirk, bestselling authors Rysa Walker (The Delphi trilogy), Meg Elison (THE BOOK OF THE UNNAMED MIDWIFE), Sean Gandert (LOST IN ARCADIA), Hugh Howey (MACHINE LEARNING), and PJ Manney ((ID)ENTITY) will debate science fiction and fantasy's role in predicting and imagining the near future. 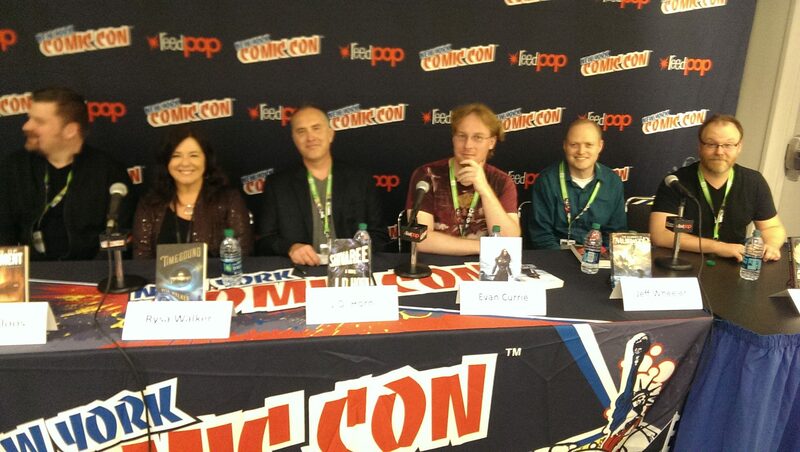 Come meet Rysa Walker, Hugh Howey, Meg Elison, Sean Gandert and PJ Manney! Books will be available for purchase at the signing, and there will be a limited number of free advanced copies of The Delphi Resistance. The Strand is the official bookseller of NYCC! 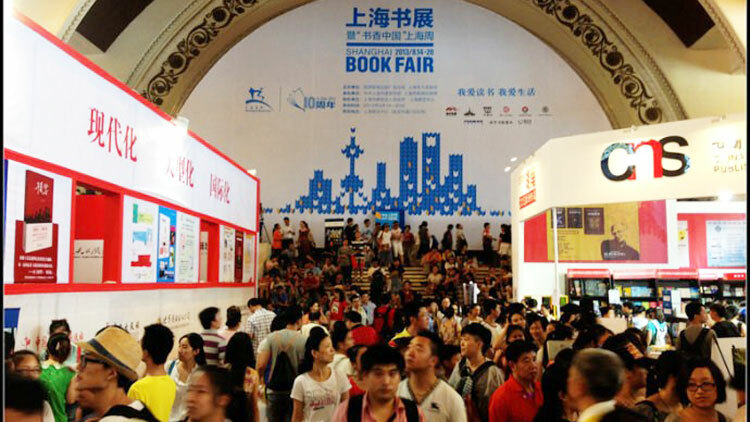 The Chinese edition of Timebound debuts this summer, and my Chinese publisher, Zhejiang Literature & Art Publishing House, has invited me to take part in the Shanghai Book Fair and International Literary Week. There will also be a signing in Beijing. Best book launch party ever! On Friday (6/23 @ 2:45 PM), I'll be reading a sneak preview of my upcoming book The Delphi Resistance, which will be published in October. I'll also be signing books and chatting with readers on Friday and Saturday. Tickets are available here . Tickets are only $15 for the signing sessions, with dozens of authors attending. 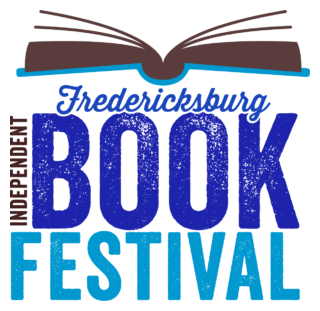 Books will be available at the onsite bookstore, or bring your own. Join nearly 100 bestselling authors of contemporary and paranormal YA fiction and more at the Holiday Inn Tanglewood in Roanoke, Virginia on April 8, 2017 from 10am-4pm. This is a FREE event for readers. Enjoy an afternoon of books, giveaways, and more as you get the latest releases from your favorite authors and discover new voices! The Delphi Effect, the first book in my new series, is set partially in Havre de Grace and nearby Port Deposit. 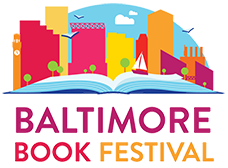 All profits from my books sold at this event will be donated to the Havre de Grace Library. The final book in THE DARK CYCLE by fellow Skyscape Author Rachael A. Marks series is launching the same day that my new DELPHI TRILOGY begins. So we’re teaming up for a ginormous, double-sized launch party, with games, giveaways, and more. Join us on Facebook October 11th!! From hyper-drive star ships to swords and sorcery to lustful vampires, science fiction and fantasy novels imagine worlds with infinite possibilities. But frequently, these worlds are remarkably similar to our own. Come hear bestselling science-fiction and fantasy authors discuss their imagined worlds and the impact of the collective SFF brain on the “real” world. 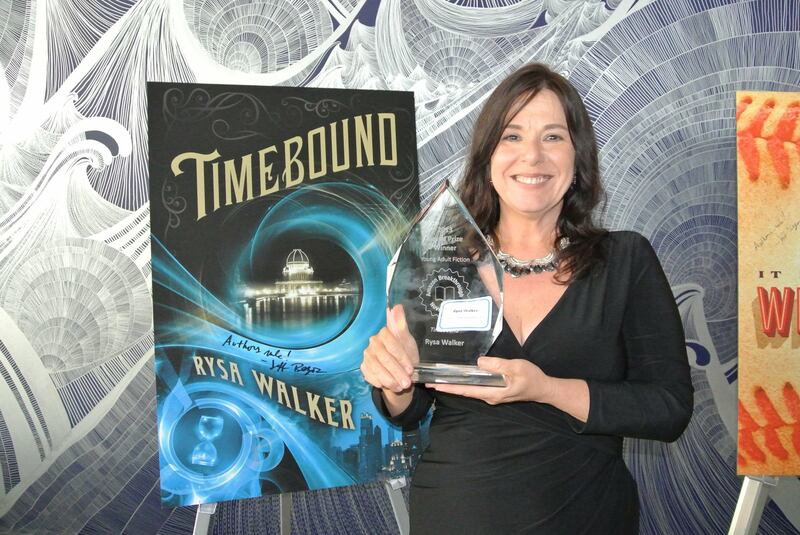 Authors Rysa Walker (The Delphi Effect, Timebound), Gwenda Bond (Girl In the Shadows), Amy A. Bartol (Kricket series, Secondborn series), J.D. Horn (Witching Savannah series), and Alys Arden (The Casquette Girls) will debate and discuss, led by Senior Editor Jason Kirk of 47North and Skyscape. Move over, Harry Potter, these leading ladies have it all and then some. 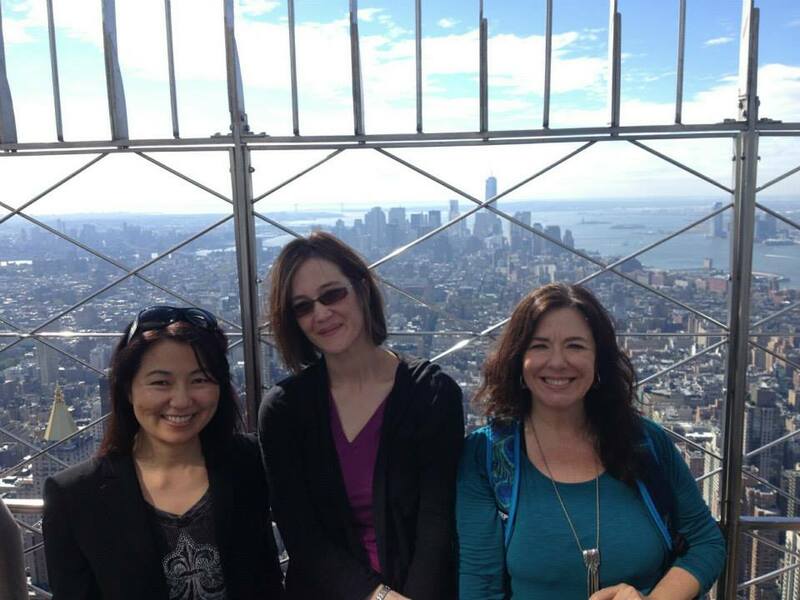 Listen as our panelists discuss some of the best YA has to offer! Authors: Cinda Williams Chima, Leah Cypess, Sarah Beth Durst, Justina Ireland, Lois Metzger, Rysa Walker. 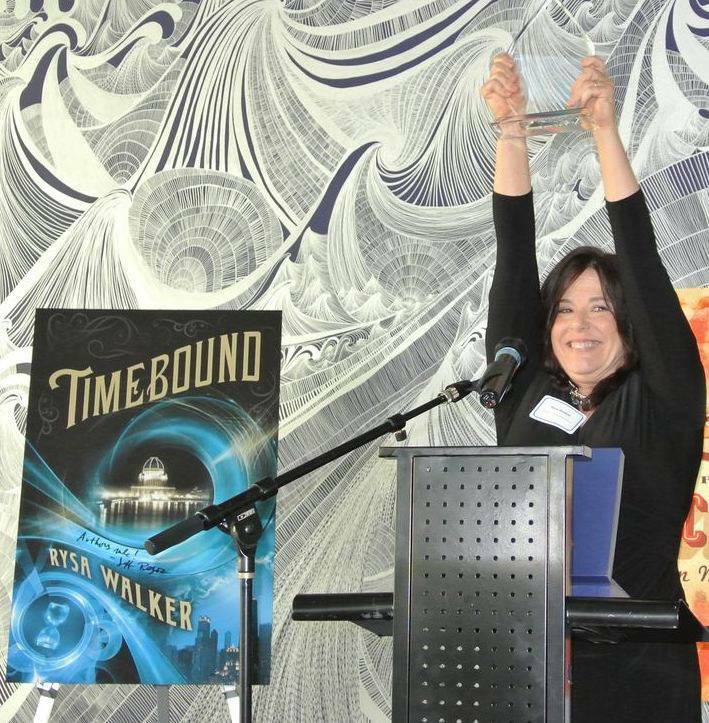 I’ll be signing copies of Timebound and other books in The CHRONOS Files beginning at 3PM on Saturday, June 11 at the Cary Commons B&N as part of their Teen B-Fest. I will also have a limited number of free advance copies of my new book, The Delphi Effect, for the first few readers. In addition, I’ll have a sneak peek atTime Trial, the CHRONOS graphic novel that debuts next month. There are lots of events going on as part of B-Fest so be sure to stop by throughout the weekend. I’ll be signing Advance Reader Copies of my upcoming book, The Delphi Effect, on Thursday in the Author Autographing Area, Table 11, Amazon Publishing. Note: This is for bloggers and others planning to attend BEA (Book Expo America), which is a professional conference. 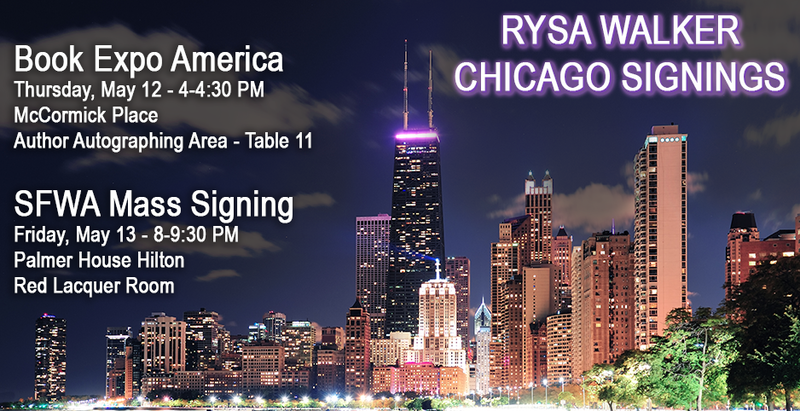 I’ll also have a free public signing on Friday night in Chicago at the Palmer House Hilton–see https://www.facebook.com/events/1795608500667688 for more info. Mass signing event at the Science Fiction Writers of America Nebula Conference. Over 70 science fiction and fantasy writers will be signing at this event. We’ll have some copies to give away, and there will be a bookseller on premises. Or feel free to bring your own. Join 60+ bestselling authors of contemporary and paranormal fiction and more at the Holiday Inn Tanglewood in Roanoke, VA on April 2, 2016! Enjoy an afternoon of books, giveaways and more as you get the latest releases from your favorite authors and discover new voices. Note: There will be 2 signing periods! 11-1, followed by a break for lunch, then 2-4pm. Online at Facebook from 6-11 PM EDT! Everyone invited. 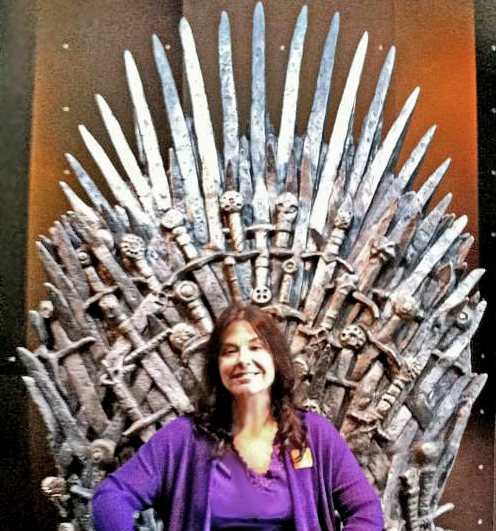 Guest authors, games & giveaways! The Time Travel Chronicles is the latest in the Future Chronicles anthology series, and I’m delighted to have my short story “The Gambit” (from Saul’s point of view) in such great company. Online at Facebook! Everyone invited. Guest authors, games & giveaways! Come join in the fun, help launch the final book in The CHRONOS Files, and stick around until midnight to usher in Back to the Future Day (10/21/2015). Time’s Edge Launch Party – Party on the Edge! 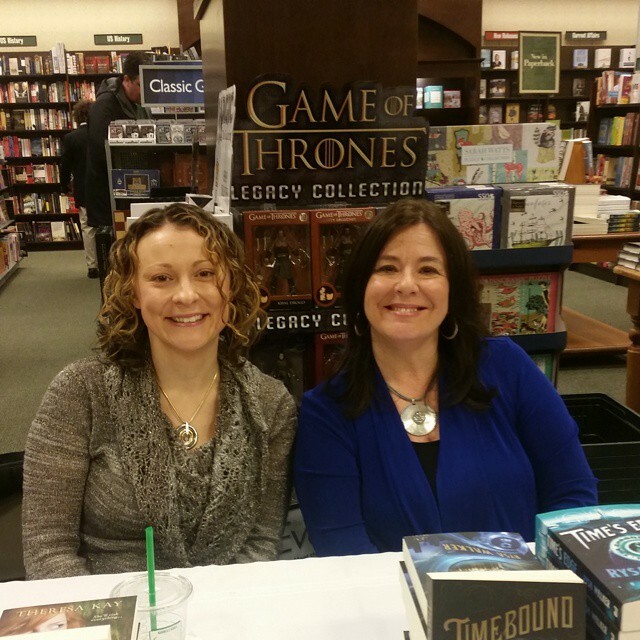 Launch Party for Time’s Echo!